Germany’s capital and largest city is one of the most diverse and exciting cultural centres in the world. As well as serving as a reminder of Europe’s turbulent history, the city also offers some of the most interesting green spaces, sightseeing tours and general days out. Whether it’s cooling off in one of Berlin’s 80+ lakes, or strolling around the grounds of a former airport turned recreational park, there’s cool things to do in Berlin for the whole family! 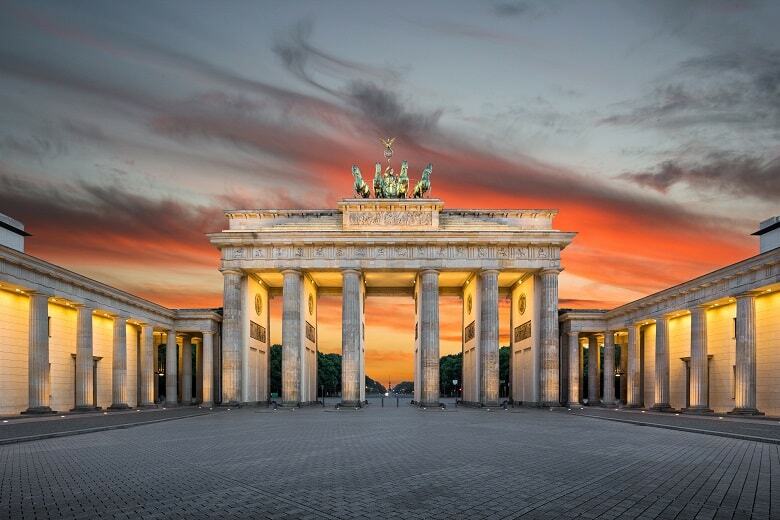 Take a look at our holiday parks in the area if you’re looking for the best place to stay in Berlin, and enjoy an enriching experience in this thriving cultural metropolis. It goes without saying that most visitors to Berlin are interested in the history and culture of the once-divided city, and there’s numerous free things to do in Berlin that are still around the city today and act as reminders of the history of both the city, East Germany and Germany as a whole. 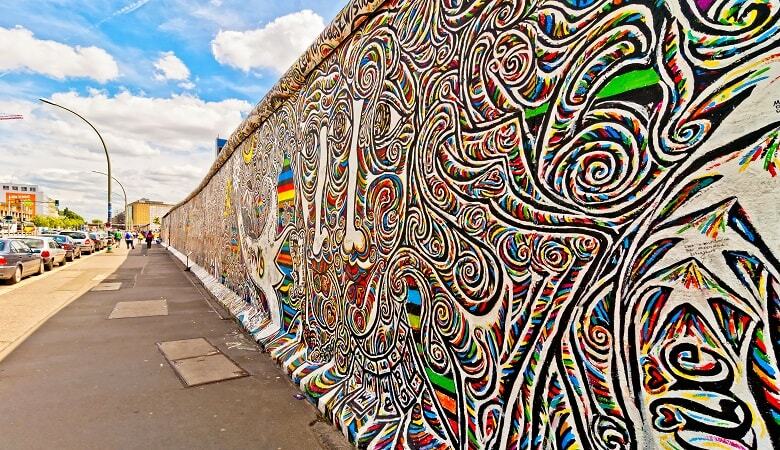 One of the best places to visit in Berlin for history buffs is definitely the East Side Gallery, better known as the section of the Berlin Wall that’s still standing today, and covered in murals from artists all over the world. The most famous of these murals is the replication of the kiss between Leonid Brezhnev and Erich Honecker, the former leaders of the Soviet Union and East Germany respectively, and whilst many people visit the East Side Gallery to see this picture alone, there are of course many murals worth admiring, expressing freedom on a monument that once divided a city. Other historical points of interest in Berlin include Checkpoint Charlie, the most well-known border crossing between East and West Berlin where you can still get a stamp in your passport, which is definitely one of the more unusual things to do in Berlin, and the Holocaust Memorial, a brutalist, abstract park of concrete which is serene and thought-provoking, yet chilling at the same time. For food lovers, Berlin is also the place to be! If you’re a fan of street food, then you should definitely visit the Turkish market on the bank of the Maybach, taste some currywurst in Wedding or experience the ultimate Döner Kebab in Kreuzberg. But there’s more around than just street food, and some of the coolest restaurants in Berlin can be found right in the city centre – such as GOOD BANK, the self-labelled “first vertical farm-to-table restaurant in the world“, serving up the freshest vegetarian sandwiches and vegan soups in the city – visiting here is definitely one of the more unique things to do in Berlin! 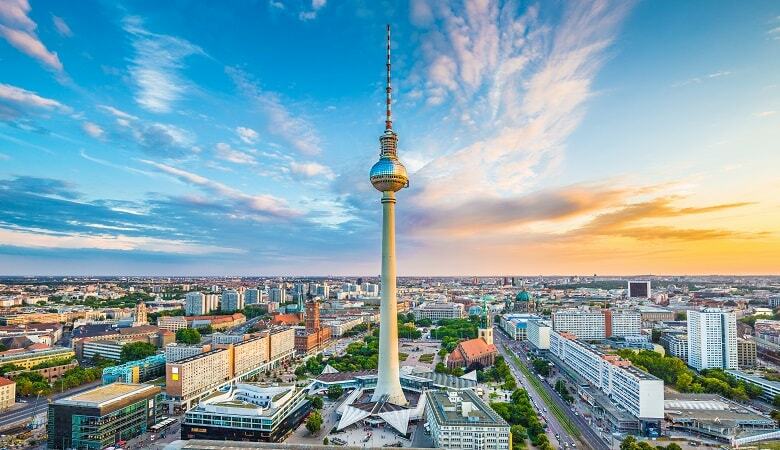 One of the best things to do in Berlin with kids is head to the top of the TV Tower (German: Fernsehturm), and you can get an amazing view over the German capital, and even enjoy a nice meal at the top. The exhilarating lift ride up to the top is something that the kids will definitely love, but that’s not to say that adults won’t enjoy it either! Just across the river from the TV Tower is also the Museum Island (German: Museumsinsel), home to no less than 6 national museums, each with their own specific exhibitions and stories. Whilst the museums are some of the best things to see in Berlin, the ‘island’ itself is a great place to relax with a picnic when the weather is good, centrally located in front of the Berlin Cathedral (German: Berliner Dom) – another sight worth seeing! – is the Lustgarten, a beautiful green park with a fountain in the middle. On hot summer days, there’s nothing better than finding a nearby lake and enjoying a refreshing dip. The Müggelsee covers 7.4 sq km, making it Berlin’s largest lake, and it’s certainly one of the top places to visit in Berlin when the weather is good. It has a beautiful sandy beach for those in need of relaxation, a party boat for those who fancy a dance, and beautifully wooded walking routes for nature lovers. Many of Berlin’s lakes are easily accessible from the city centre, so you can easily enjoy the bustling city and the pristine nature. There’s also Tempelhof Park in the outskirts of the city, which consists of almost 400 hectares of open space and used to be home to Berlin’s now-defunct Templehof airport. The park is now a space for Berliners and tourists alike to enjoy the good weather, a variety of facilities for all ages, and a family-friendly atmosphere; with cycling and walking trails, a 2.5 hectare BBQ area and a dog-walking field. Are you Looking for Accommodation in Berlin? 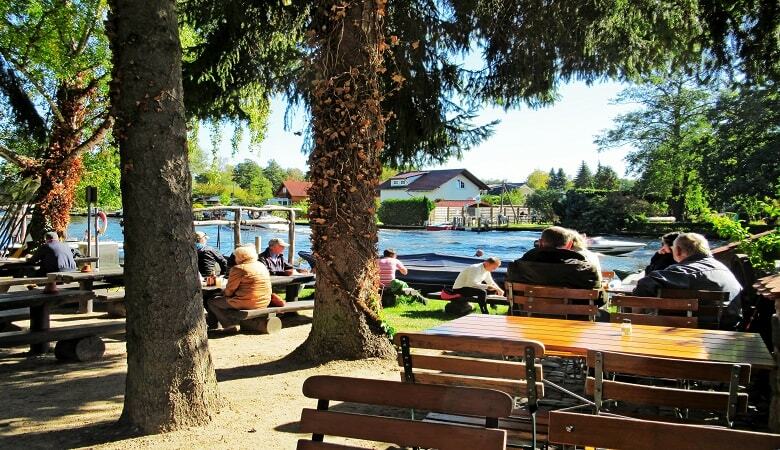 If you still don’t know where there the best place to stay in Berlin is, then why not check out Ferienpark Rübezahl/Berlin-Müggelsee? It’s situated directly on the Müggelsee so you and your family can enjoy the best of both worlds! The holiday cottages are luxurious and modern and this park offers the perfect combination of nature and culture. Have a look at our holiday parks near Berlin and enjoy a relaxing holiday with your friends and family, complete with a day trip to one of the most exciting cultural centres in the world!